See more objects with the tag domestic, rounded, clients, industrial design, interface, interaction, dials, consumers, climate control, logos. This is a Drawing. 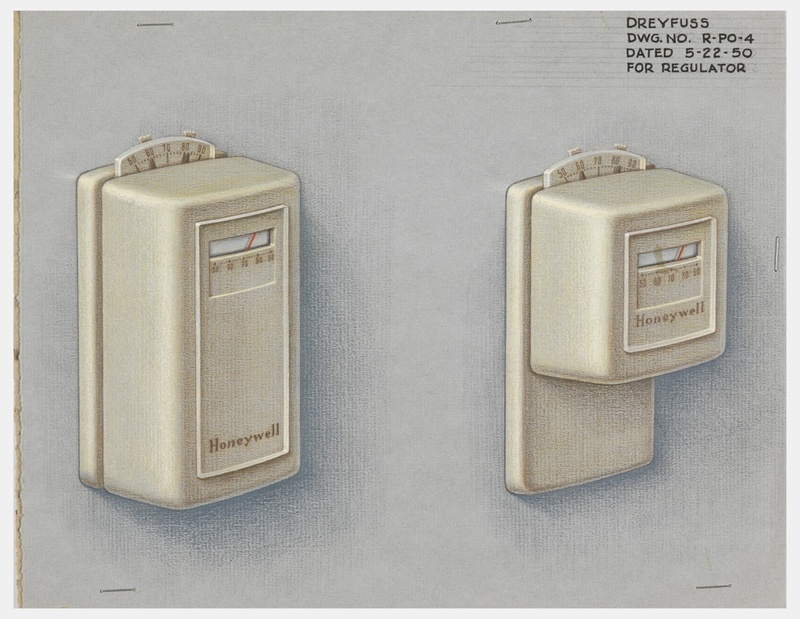 It was designed by Henry Dreyfuss. It is dated May 22, 1950 and we acquired it in 1997. Its medium is color pencil, graphite, pen and black ink, brush and white gouache on gray paper on illustration board, lined. It is a part of the Drawings, Prints, and Graphic Design department.